Nunavut is the northernmost and least populated Canadian province. Iqaluit is the capital and largest city. 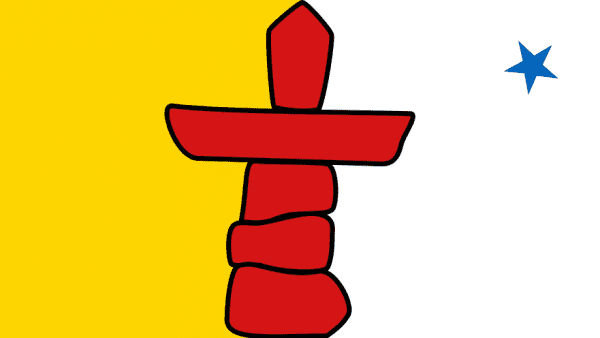 Nunavut is made up of both mainland area as well as islands. The province borders the Northwest Territories; Manitoba is to the south of Nunavut’s mainland, Saskatchewan to the southwest and has a small border along Newfoundland and Labrador and Ontario. The polar climate is what limits the population with winter lows at -27degrees F and summer high’s of 63 degrees F.
About 80% Of Nunavut are Inuit, 15% non-aboriginal. The people of Nunavut support themselves through mining, oil gas mineral exploration, whaling, fishing, hunting, transportation, tourism and the arts. Currently there is an open pit gold mine that employs 700 workers with several years left before its exploited. The north holds vast reserves of coal, oil, and gas and, increasingly, these areas are being looked at to move into production.